Iryo Network Review – Good Project Or Scam? Cryptocurrency industry is growing fast. Now many platforms are coming up with new and innovative solutions to help the users to get a convenient option for any problem including traveling and healthcare. In this article, we will discuss the Iryo platform that is designed to offer a decentralizing access to the medical records. It will help all including the researchers, patients, and medical professionals to have the access to all medical data. This platform will empower zero-knowledge encryption and will standardize the medical data to offer medical record ownership to the patients. It is the first participatory that will be powered by the blockchain technology that will make the process secure and fast. Are you interested to know more about Iryo? Do you want to know what exactly it is? Would you like to know about the features, team, and roadmap? If yes, then the following Iryo Network review is written for you only. In the review, you will come to know all the details that can help you to decide on this platform. It is a global respiratory of open EHR data. People are not interested to offer their medical details to the GoogleEHR data. The reason is that if the data will be available online that can be used by any for the commercial purposes. Iryo is designed to address this issue and to offer a solution. The users will be allowed to encrypt their data in their mobile devices with a public key. The key will remain on the patient’s device and anyone who wants to use that data will need the approval of that patient. The patients can approve by clicking yes on his device in the IryoEHR app. The process will be safe and fast. It will serve the interest of the user while protecting the privacy of the patients. This company will utilize open EHR approach for the medical information modeling and even for the exchange. There will be the zero-knowledge data storage with EOS blockchain-powered permission messages for providing access to the medical records. Currently, they have a publicly accessible GitHub repo that works on their pilot project on the refugee camps. The final development will come after the token sale. • Easily accessible medical data will be available on the device of the patients. • Zero-knowledge encryption makes medical data ineffective to the hackers. • Permission control access to the medical data powered by blockchain technology. • The data can be accessed by the specialists, researchers, hospitals with the consent of the patients. • Tokens will help to share the data with the research institutions. • Medical services can be paid through the Iryo tokens. These tokens are designed to use as the gateway by the clinics, patients, and researchers to be a part of this network. Besides, the token will ensure the privacy of the patients across the network while promoting the medical research. The token will be the utility tokens that can be used to get the benefits of this platform. The presale of the token has already started in March 28 and it will finish on 3rd April 2018. The second presale will start on April 4 and will finish on April 10. The crowd sale will start on the April 11 and will finish on 17 April. It will be for a limited period. You need to hurry if you want to buy the tokens. The token price is +/ – $0.11 USD. There have plans until 2020. There was Preliminary Research in 2015, seed in 2016, and 2017- Development-2017. There will be ICO+ Production Grade Implementation in 2018, Iryo Public release in 2019, and Network Expansion in 2020. They have started implementing their plans. They are trying to establish common interoperability between the medical systems across the globe. The pilot project is doing well. There will be a lot of improvements in the near future. 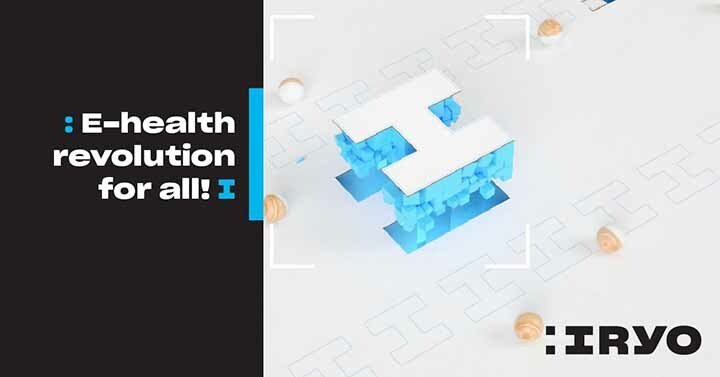 There will be the integration of the interoperable integrated health records powered by the blockchain technology with zero-knowledge storage. The CEO of this company is Vasja Bočko. He has experience in offering highly functional digital solutions. He has worked in different positions in Bitstamp, 3fs, and Unicredit. He is passionate about the crypto and blockchain technology. Dominik nidar is the CTO and Peter Kuralt is the head of the strategic development of this company. Other key members are Domen Savič, Andrej Mihelič, Alberto Malave, and Črt Vavroš. Fluence Review – Legit Or Scam? In this review we look into Fluence, a young project new to the cryptocurrency space. We aim to find if the Fluence project is one with future potential or could be one to avoid. Continue reading for a full in depth unbaised review on Fluence. Technology changes are happening every second of every hour, and one has to get updated to avoid being left behind by everything good that can make significant changes in how we perceive things. If you are observant, then you realize that blockchain plays an integral part in technological changes facilitating the development of different ecosystems that has changed the lives of many people. One such platform is the Fluence network which is an independent network of independent nodes. It is a decentralized end to end encrypted database service designed to provide secure, scalable, and reliable encrypted database services. Data decentralization has not been achieved by many companies where most of the world’s data is stored in centralized locations. This means that users do not have control of their data nor see who has access to the data. Data leaks is another major issue where centralized clouds are vulnerable to leaks and hack something experienced by many companies on a daily basis. Regulations and censorship from governments and large corporations have total control of clients data and imposes on internet access. Fragmentation where current internet architecture relies dependent on centralized clouds, CDN, DNS and other architectures upon. This is why Fluence wants to solve this issues by providing a web 3.0 network that works on decentralized and distributed ecosystem that is secure, less susceptible to censorship and less vulnerable to data loss. By creating a new future-proof version of the internet, all the above problems will be solved in a decentralized ecosystem where users will have total control of their data. There will be no database dumps in any single access point as there will be database sets which are cryptographically protected thus eliminating any possibilities of leakage. Encrypting data will prevent censorship as data will be spread on different servers around the globe under no one jurisdiction thus making data ban impossible or use of personal data without authorization by the owner. The ecosystem ensures that the network is always available and any client can access their data whenever they want. The nodes are spread all over the globe for efficiency, and only the user can access their data. The users also have the privilege to mine and earn tokens on the same platform. The nodes store the data and verify all the transaction while automatically updating transactions. Fluence uses Fluence Functional Tokens or the FFT for all the transactions on the ecosystem between the clients and the node owners. These tokens can neither be traded nor transferred. Fluence Gateway can only issue the FFT tokens for exchange with FLU tokens which are transferable. This provides a fast and cheap transaction via Ethereum smart contracts of the gateway. A client who needs to store data or any other operation pays FFT tokens to the node owner. All the patient records which include medical data storage and sharing will be kept confidential for owner’s privacy. The platform provides the safest marketplaces for users to store data and establish a strong market around the data. The big data advantage where there is no dataset that is too big nor any number of requests can become too much to handle when the request is made. 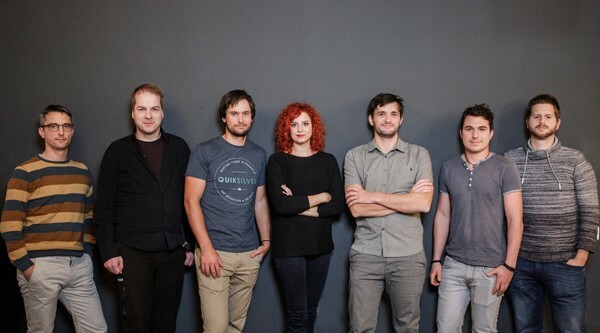 The team responsible for developing the platform calls itself the Fluence labs. Evgeny Ponomarev is the CEO and Dmitry Kurinsky as the CTO who both have unique skills in entrepreneurship and software engineering skills. The team is committed to realizing the achievements that will transform how data operates. The team promises to make major innovations and add new features that will make the system more efficient, reliable, flexible and more secure. Creating the Fluence ecosystem will provide reliability and solutions for handling data at a global scale. Every client can be sure that their data is safe and can also earn them revenue to both node owners and the clients. It is a move that will see many companies depend on the ecosystem while users will be satisfied to have the freedom of controlling their data. Bountie Review – Blockchain Based Gaming Platform – Legit Or Scam? What makes Bountie stand out over other blockchain based gaming platform? What are the key feautres of the coin and the future roadmap of the project? Is it a project with lots of potential or one you should stay well clear of? In this review we look to cover those very important questions. Gaming has not been left behind by blockchain technology. The industry has done progressive work in every sector. Bountie is a platform designed with a gamers mind and provides every aspect that makes the game so entertaining so that players can experience absolute fun from the beginning to the end. With Bountie ICO, players can receive the digital currency as a reward when they win games wile still having fun. Cryptocurrencies have a high value, and if you are an expert player, you can earn a lot of revenue from your pro techniques. The developers found the need to expand gaming industry and make it a source of income too where the traditional gaming platforms on offer platforms for fun only. This can change the way things work around. Most people criticise players as wasting time when playing for fun rather than finding decent jobs. This will not be the case anymore as players will find a decent activity that can expand their skills and earn revenue. Bountie offers a variety of games for players to participate. Interested players enroll in the platform where they need to have an account by signing up and becoming members. You also need to have the BNE coins used in the platform for rewarding winners and performing any other transactions that require small fees to be paid within the platform. Games to participate are availed on a weekly basis and the participants will be required to pay a small fee for registration. The fees will be used in rewarding the winners hence no exploitation. This is always the catch with any games and players are assured of integrity and openness and that under no circumstance they can be exploited. There are also other Bountie sponsored tournaments where the company collaborates with software and hardware vendors who are interested in providing an efficient gaming ecosystem. Those who emerge winners will be compensated with Bountie coins and different merchandise provided by stakeholders to keep the spirit high. The year 2018 is lined up with many games and tournaments for every player. They also provide a free to play option or join the tournaments. The platform is developed to accommodate both solo players and collective players where a single player can play against an opponent or a team versus a team. The tournaments provide much fun as the overall winners are rewarded in major organized events where they also receive Bountie coins and amazing merchandise. You will find many amazing misions that take you to endless levels with much anticipation. Completing one level lures you to move to the next level and there is no time that games on this patform becomes a nuisanse but you rather feel to play more and more. Bountie gaming platform provides you with ability to connect and interact with players from any region on the globe. You will be able to connect with different players who matches your caliber. The company sets out the tournament in knockout formulas and styles where winners are determined and rewarded depending on the performance, success and the terms laid out by the organizers without failing the winners. There are other ways to win where Leaderboards are designed to provide extra prizes and bonuses to participants who goes all the way to Leaderboards. This opens many opportunities to have many winners as possible thus availing an equal opportunity for everyone. There is also another opportunity for dairy queries which provides an opportunity to reward players with bonuses on daily basis in Bountie coins where players are rewarded after completing the daily prescription quests during the gameplay. The developers of Bountie ecosystem are still working to expand the system and avail as many opportunities to players so that more people can participate and win. This is an established and an amazing gaming ecosystem. It is fun to play on a blockchain based ecosystem that offers you the opportunity to connect with players from a global perspective. Apart from tournaments and bonuses, another way to participate include, referral rewards. Rewards from referrals depend on the pool you have been able to pull into the system. You can, therefore, tell your friends about the platform, encourage them to join through your link, and this will be another way of increasing your chances of winning some rewards from the platform. Zonafide Review – Good Project Or Scam? In this review we look at the key features of the Zonafide project and determine if it is a safe project to invest in or is one you should avoid. Continue reading for a full in depth review into the project. Zonafide was created in 2015 by Paul and Salena Worrall. This is the first digital wallet that secures activities and combines blockchain and collaboration technology. The goal of the project was to ensure that all activities of an individual are protected from fraud and cybercrimes. The activities under protection are numerous – from buying a house to verifying socials. This is basically anything that you want to keep private and don’t want other individuals to know about. The security that Zonafide promises is established thanks to integrating solutions based on blockchain. Any problems that you might come across while you are on the network are eliminated thanks to Zonafide. The trial version of the digital wallet has already been accessible since 2017 both for Android and iOS. The key principles of Zonafide are collaboration, activities and people. So, if you have a problem there will always be a person who could help you solve it whether it is a professional in the sphere, a friend or a family member. The wallet’s functionality is supported by Ethereumblockchain. Zonafide gained the support of the local UK governments in drawing public awareness to the project. By this the creators hope to generate the demand for the wallet that they will be able to respond to. Zonafide helps solve problems that a person comes across in their daily lives. This digital wallet secures each of your activities that might contain your private information such as birthdate of marriage date. The project can be used globally and help secure information when buying a house or changing bank details, to name just a few. Zonafide also protects businesses and individuals from the loss of data. Thanks to its high security it will be virtually impossible. Secondly, people’s transactions will be protected from cybercrimes, which have become very widespread lately. The creators of the project will attempt crowd-funding for its financing. They are hoping to obtain it via token sale as this is one of the most progressive ways of funding nowadays. The total amount to be raised is $25 million. There will be a pre-ICO on April 6th that will last till April 20th. After that the main token sale will start. To enter the sale a person needs to have at least $250; one token may be obtained for $0.25. Unfortunately, due to regional restrictions people from Canada, Korea, China, Taiwan and the USA will not be able to participate in the sale. TOG can be used to pay for services via Zonafide ecosystem. TOG can be transferred between people and exchanged using Zonafide wallet system, using Ehtereum system of third-party wallet apps. Since there is a high demand for services that Zonafide provides, there is respectively a demand for its token, TOG. • Activity developers who produce activity templates for the public. • Authoritative acknowledgers who can sell their domain assurance processes. • Organizations that need to make sure they act on real customer instructions, want to avoid friction with clients and would like to increase automation of their work. • People that want to make sure their activities are not compromised and are not subject to any maltreatment. Since this is a rapidly developing project the company plans to hire new developers that will help spread the platform and improve its functionality. In the second quarter of 2018 Zonafide Wallet V 1.0 is planned to be released on iOS and Android. In the third quarter of 2018 the company plans to keep developing integration infrastructure of the product and involve more customers from legal and marketing spheres into using the wallet. In the fourth quarter of 2018 enterprise tools for processing consumer activities are planned to be developed. Partnering with other companies for payment processing will also be in the center of attention. The founder of the company, Paul Worrall, has 30 years of experience in software development. He has been working and developing software for renowned corporations around the world until in 2014 he started Zonafide with the desire to address the problem of cybercrime. The cofounder of the company is Salena Worrall who has a diploma in History and Politics from University of Coventry and has been working in teaching for over 15 years. The development team also includes Darren Lees, Elizabeth Perreau, Bernd Fleischmann, Bennett Arron and a few others. Smart Valley – Providing A Better Way To Determine Genuine ICOs – Legit Or Scam? The recent years have seen an explosion in cryptocurrency sector where potential investors are finding it difficult to distinguish between real projects and fake ones. But to keep things straight, blockchain industry has done marvelous, and many individuals have found a better way to earn income through investing in genuine platforms. One amazing cryptocurrency that has found it’s to the market is the Smart Valley crypto service. This is a platform designed to evaluate the feasibility of every ICO entering the market and releasing helpful information that will guide investors make the right decision. Continue reading this review to discover everything you need to know about the Smart Valley project. Many investors have lost trust in several ICOs which backfired and defrauded them the only hard-earned funds for investment. This problem prevails in that some of these projects appear so real and there is no way to distinguish if it is a scam or a viable project worth investing unless you are an expert. It is due to this outcry of investors that developers of About Smart Valley decided to create a platform that will restore sanity in the industry. The system evaluates ICOs announcing to go on offer and whistle blows if they detect flaws in the project. This is a decisive move as it helps investors make the right decisions thus avoiding losses and risks. The company evaluates all the projects before they announce the pre-ICO. This evaluates whether the project promises a stable future or it is just a short-term project that may leave investors in tears. There is a team of experts that perform the assessment and members of the community who votes towards the project. A detailed Investigation is conducted where various criteria are considered before releasing the final report. Evaluation emphasizes on financial ability, the blockchain functionalities used, complying with legal aspects, and the background of the founders to establish whether they have ever been involved in fraud and any other misconduct. Expert consultation is also done by a third party even if the feasibility of a certain ICO is established so that no ICO can feel biased. After the evaluation is conducted, a comprehensive report is released when every factor is weighed carefully, and all viable ICOs can then be released to the investors. The ecosystem uses Smart Valley tokens which were offered in the ICO. The project has seen a high demand for the project and investors can expect a sharp rise in SVT tokens as the project has come to grab the attention of many investors. The company promises to provide continuous information regarding every pre-ICO, ICO, and post-ICO activities so that innocent clients who cannot get information by themselves can understand every move made by the ICO on behalf of their investment. The details will offer clients the freedom to chose the best projects to invest thus making sure the monetary power and decision lies in the hands of users and not the other way around. With Smart Valley, the future will be more reliable to investors as there will be no ICO that will launch to the public before evaluation. This will assure investors the safety of their funds and most of them will restore the trust that has been damaged by the previous crisis. 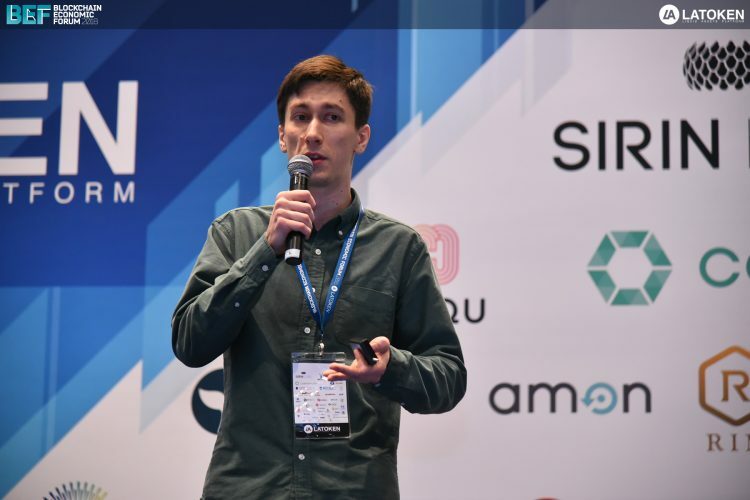 Smart Valley is run by professionals who have immense wisdom in cryptocurrency and blockchain industry. They promise to deliver accurate information that will not misguide the users. The company uses powerful sorting system that has been approved and can assess blockchain projects and predict the viability of the project in the long run. Assessing tools include highly qualified expert skills, unique scoring tool, and community/crowd wisdom. The presence of Smart Valley has revived the hopes of many investors as they will now have clear pointers on which projects to invest in and earn revenue as most of these ICOs promise. The unique automated tool is highly developed to ensure that it offers the reality for investors to make the best move when it comes to investing in cryptocurrency. The existence of Smart Valley has scared away many scam projects that would have swindled investors lots of funds. The ecosystem also reduces the presence of brokers and intermediaries who only add extra charges to the investors when they invest in ICOs. MyDFS Review – My Daily Fantasy Sports – Good Project or Scam? What is MyDFS? How is it related to the crypto? How can it facilitate the fantasy sports? If you have ever heard about this platform and wanted to be a part of it, you might be interested to know more about the features, benefits, and roadmap to take the right decision. Cryptocurrency industry is growing fast. It has started covering different industries including the sports. 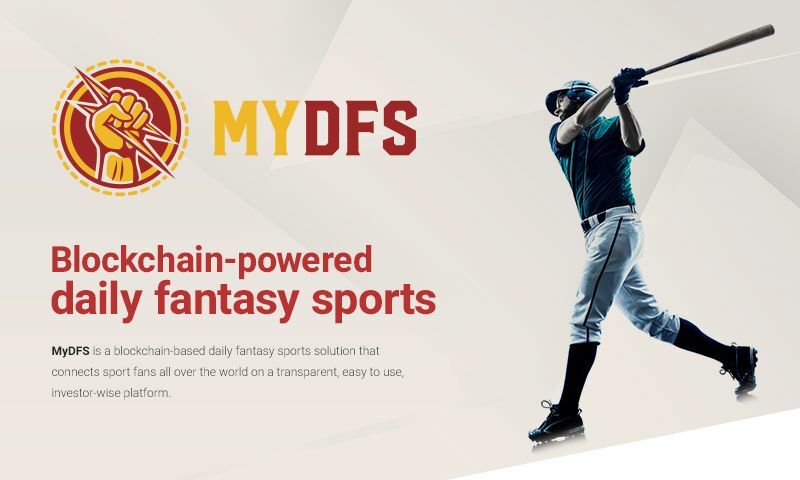 The MyDFS is designed to support the fantasy sports world and to connect the fans across the globe with a simple, easy-to-use, and transparent platform. It is more reliable as it will be powered by the blockchain technology. For your help, following is the MyDFS review that will focus on all the details including the features, team, and other aspects. As stated above, it is a crypto platform designed for the fantasy game world. With the tokens of this platform, you can participate in the fantasy sports complete with the transactions and stats. The best part is that it will be powered by the blockchain. As the result, there will be no fraud. The entire process will be transparent and fast. You can say that it is an all in one platform that will work with the fantasy sports platform. You just need your mobile device to be a part of it. If you believe their claims they have made it simpler and more enjoyable for the common people. Anyone can be part of this platform and can enjoy the games regardless of the skill and experience. The users need the MyDFS tokens to play the game and to win and then to exchange the tokens for other fiat money and cryptocurrencies. It is a matter of a blink of an eye. It is a blockchain-based on a daily basis fantasy sports platform introduced by the uTrener and KHL Fantasy apps creators. It will run on the mobile devices and will connect the sports fans all over the world in an easy, convenient, and transparent manner. You can use the tokens to participate, win, and even to exchange the token for other cryptocurrencies. The platform is made to address some major issues that the fantasy sports world face today. The gaming will be transparent than ever. Everything will be publicly accessible and will run through the smart contracts. The payment processing will be easy and instant. The users of this platform will be able to receive the deposits and winnings instantly. Besides, there will not be any involvement of the middlemen. Users will also be allowed to invest in pro players on the platform and to share their winnings. All the processes will be transparent and hassle-free. The verification will be fast and transparent. They will verify the payments through the blockchain technology and everything will be controlled with the smart contracts. The users will need the tokens to get the benefits of this platform. The tokens will help the users to stay occupied and interested. You can use the tokens for the followings. • You can participate in the games and receive the winnings. • The users can use the tokens to pay for the extra apps and even in the game content. • You can also use the tokens to invest in other players on this platform. • If you want, you can convert tokens to the fiat money and cryptocurrencies. The pre-sale has already finished. The token sale will start on 4th April and it will end on 5th May 2018.When it comes to the price, it will be one USD for one MYDFS. The roadmap of this company is clear and straightforward. It is launched in Russia in January 2016 by uTrener DFS. In February 2016, Kontinental Hockey League app was launched. The uTrener app received a UK Gambling license in November 2017. After the token sale, you will see some more improvements. It is expected that this platform will be able to reach Fifty-seven millions of fans of the fantasy sports across the globe. The creator of this project has the experience of implementing the similar projects. Moreover, the roadmap is clear and well-planned. It has also developed a relevant partnership with the fantasy gaming industry. This platform is designed by an experienced team. The CEO of this company is Victor Mangazeev and CTO is Sergey Sheypak. Anastasia Shvetsova is the CCO of the company. Other key members are Alex Kireev, Kseniya Ryazant, and Denis polyakov.